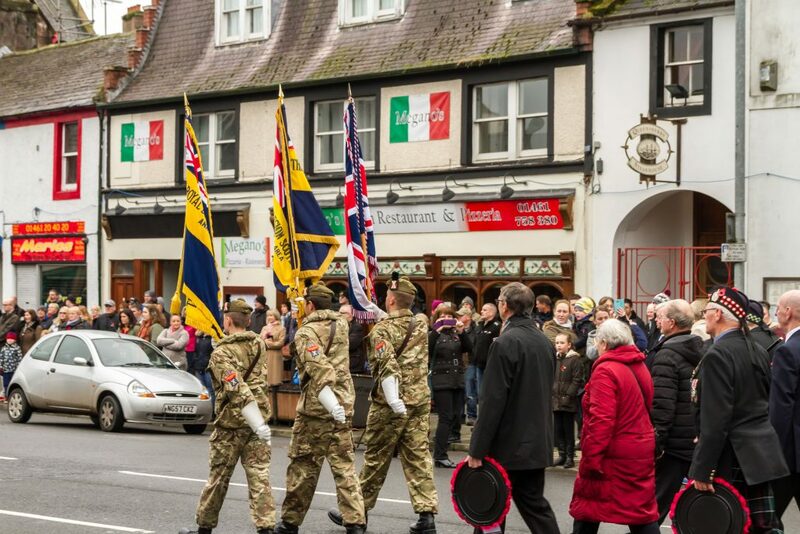 There was a great turnout of people to support the 2016 Remembrance Day parade and service in Annan on Sunday 13th November. 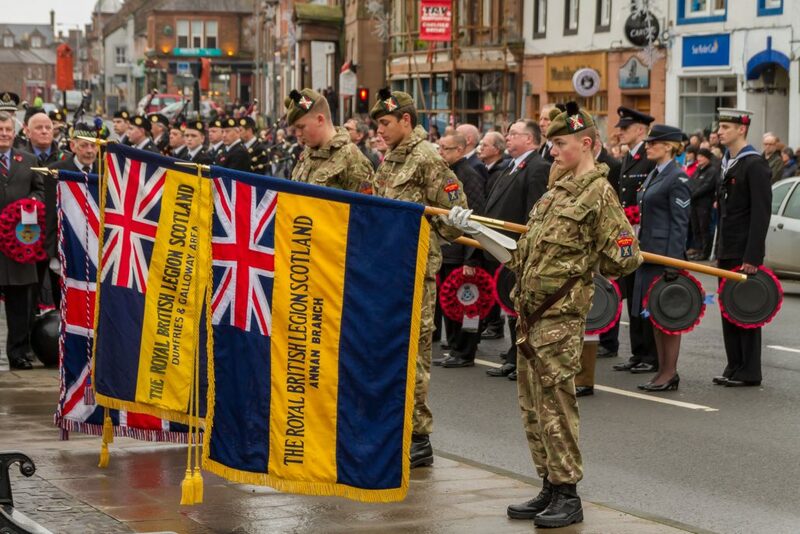 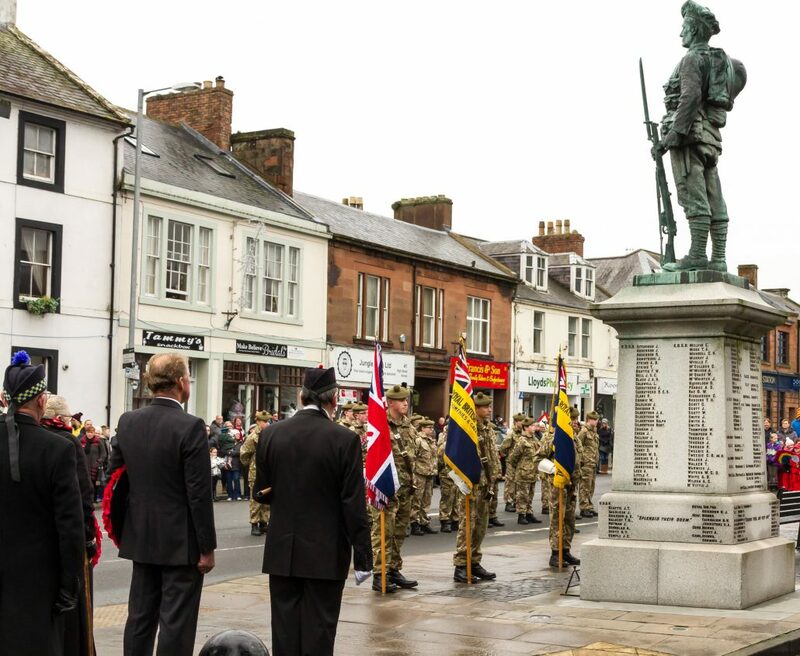 A parade of Cadets, Ex-Service and Service Personnel were led down the High Street from the Ex-Service Club by The Royal Burgh of Annan Pipe Band. 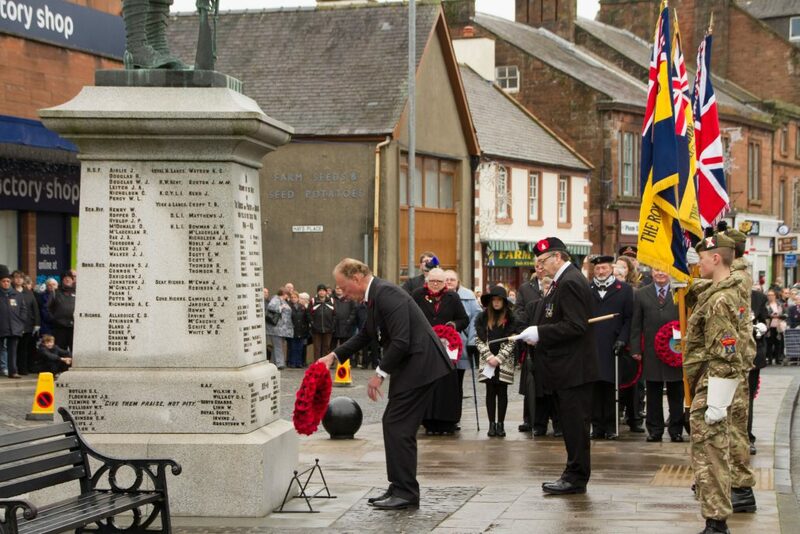 The first wreath was laid by Deputy Lord Lieutenant Gordon Dickie. 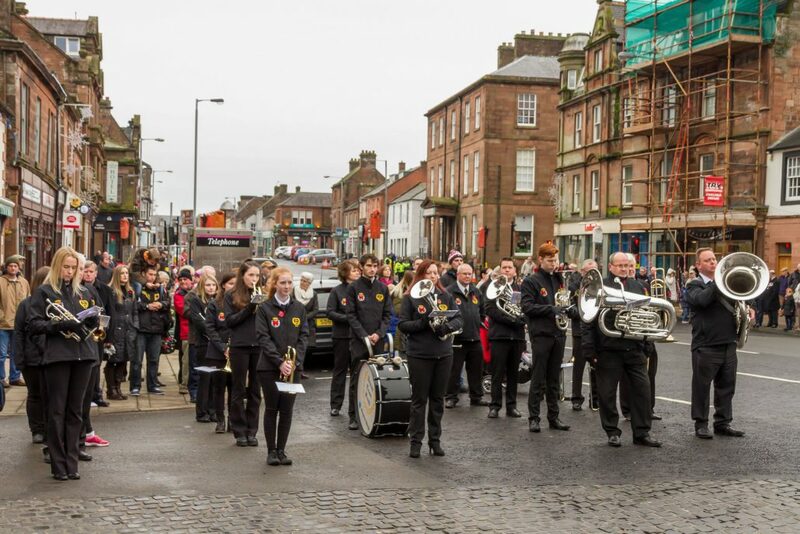 Representatives from a wide range of groups also laid wreaths including the chairperson of the Community Council joyce Wylie, accompanied by Annan’s Young Citizen Lucy Cliffe. 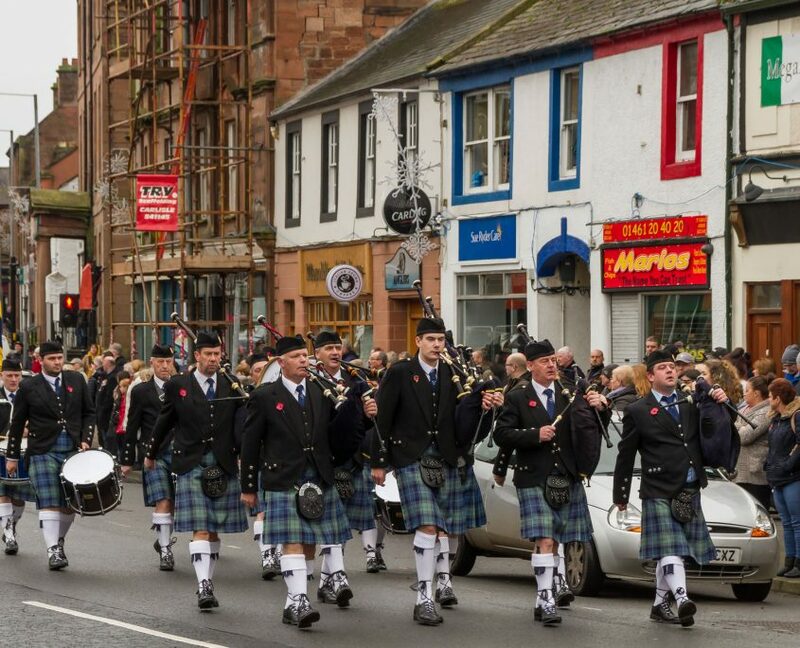 Click on a thumbnail image above to view a larger image. 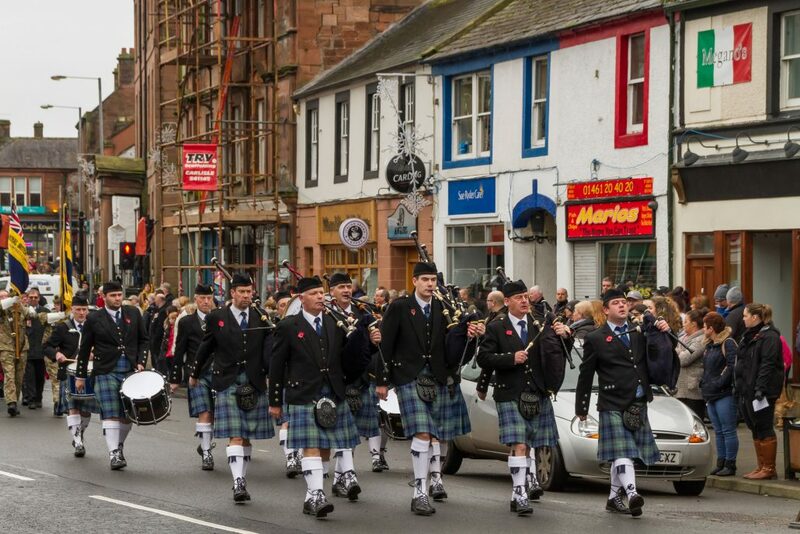 Photos courtesy of William Richardson. 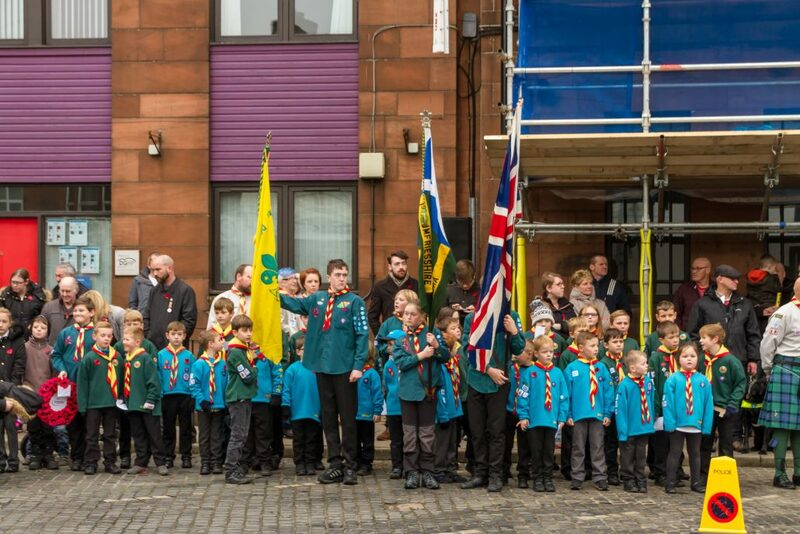 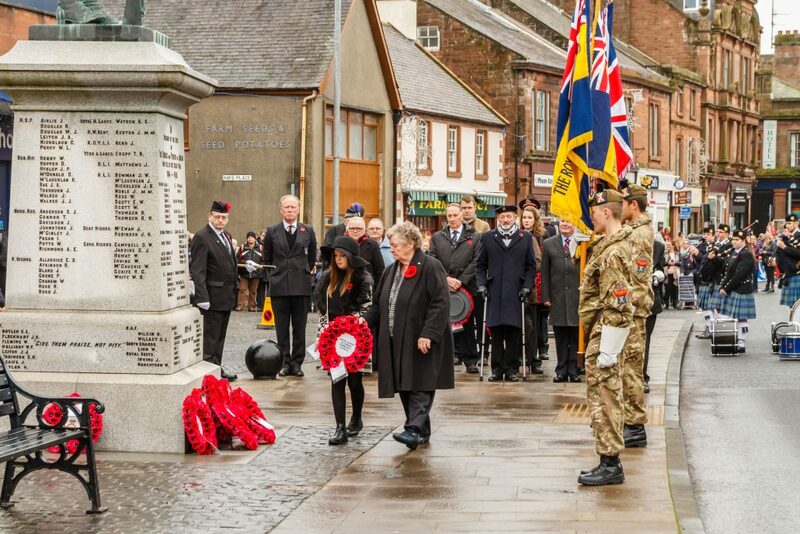 The Remembrance Day event is the responsibility of the Royal Burgh of Annan Community Council. 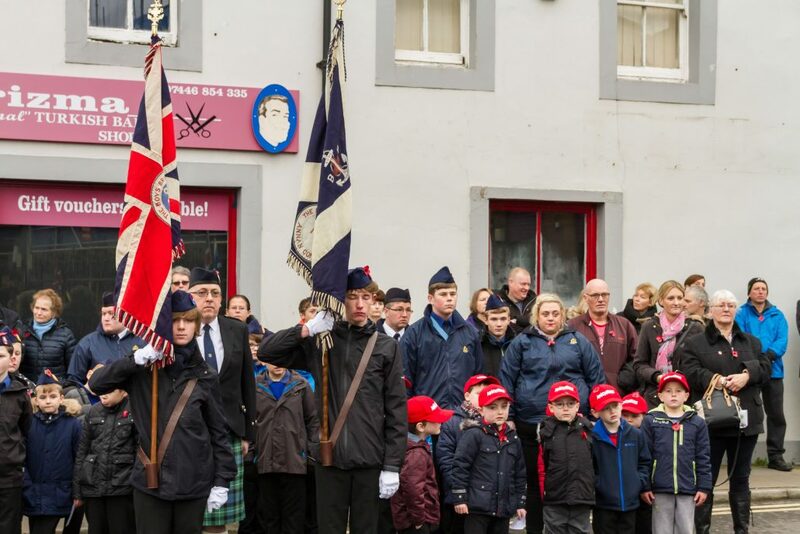 The Town Marshall is appointed by the members of the Community Council and he organises the Parade, with the help of a member of the Community Council.